I have learned a long time ago that the best way to save money is to simply stay out of the stores. I know silly simple right? But for it to work you actually need to do it. 🙂 Running to the store for a quick pick up can totally throw your monthly budget on its ear. But you want to crush your grocery store savings, don’t you? The other day I was online and saw that Sam’s Club, one of my monthly go to stores, has free pick-up. What that means is, if you order what you need from their online site you can pay for it and have it all ready for pick-up. Yep, no charge for this amazing service! I tried it out last month and oh boy let me tell ya, I am totally hooked!! I sat in my living room with my coffee and purchased all of my family’s grocery items. I made sure to take advantage of their instant savings for the month saving myself even more. I chose a pick-up time (please know it will be the next day, so plan for this) and paid for it all online. Hubs works in town, so I had him pick it all up the next day on his way home from work. He said it was simple, took just a few quick minutes and he was able to skip the lines by doing it all at the service counter. Which is right inside the door. This one tip has literally saved our family at least $100 in impulse purchases every month. Sam’s is the worst for me, they have some crazy fun and random items and the prices are always good. And I get sucked in every single time. I very rarely can get in and out of that store just buying the items on my list. And because I know this already I make sure I take extra cash! Now that they have curb side pickup I am cured. No more impulse buys that can turn my monthly budget upside down. It is so much easier to stay focused on a computer screen. 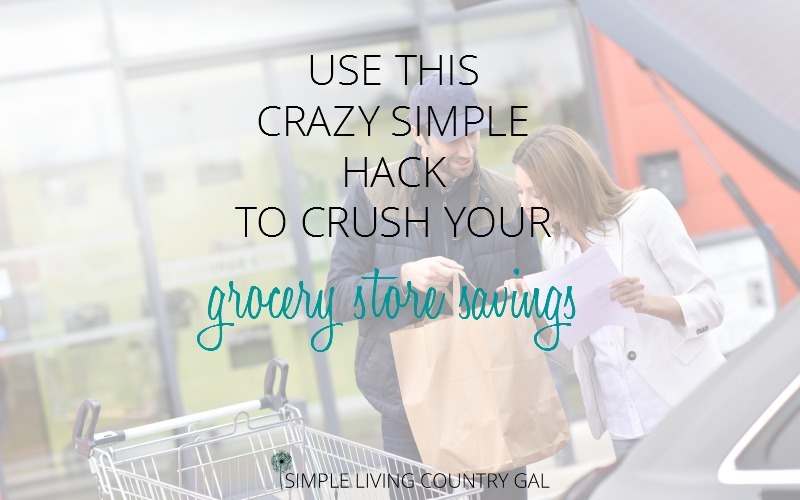 Crazy Simple Hack To Crush Your Grocery Store Savings. My top 7 stores for FREE curb side pick up. Walmart-another perk for Walmart is discounts on certain items specifically for curbside pickup. Just look for the words “Pickup Discount” in the corner. Sam’s Club-(membership is required) The only other downside is more often than not you need to wait until the next day to pick up. Kmart-Not exactly curbside, but they do offer preferred parking for online pickups. Kroger-I do not shop here, but their site does say free. CVS-The best part, they will text you when the order is ready to pick up. Once you are at the store, simple reply by text “here” and they will bring your order out to you! Love this! PS…I just saw that CVS has a coupon for $10 off of your first order of $15 or more. Go to their site for information. Dollar Tree-the only problem here is you need to get your order through the manager which can take some time. I would only use this option if you have quite a bit to order. Target-not all items are available for pick up, see store website for details. As with anything, try it out before you commit. I would do a small order to see how things work. Remember there are always going to be hiccups and the same holds true for us. We need to get accustomed to their procedure. So, by running a few trial runs you will know if curbside pickup is a good fit for you and your family. Are all items available online? If you have been shopping at a store for some time you pretty much know what they offer. Pick your top used items and look online to see if they offer them for pickup. How long is turn around time? Not that this is a big deal, but if you run out of an item you need for dinner, this may be good to know. What is pickup procedure. Know exactly what the store requires for a smooth pick up. Usually ID is required along with the online confirmation number. Have this ready to go so you are not delayed. Remember this perk is supposed to save you time, so help things along a bit by being ready. How long is pickup time? This is important to my Hubs. He HATES to wait for anything. Knowing pickup times from the start can help your “pickup person” cope better with the wait. How forgiving is the pick up window? Finally, the window is another important step you should not overlook. I know Sam’s club in particular has a cooler up front to keep perishables cold. This gives your pick up person a little buffer as far as time. If Hubs is running super late I do not have to panic. I know Sam’s has my items cooled. How is the store’s accuracy? Always check your items as soon as you get them home. Make sure you have everything you ordered by checking it against your online receipt. If an order is wrong, take note of how the store handles the issue. Remember your order is being filled by a real person, so be understanding if an item is missing or the incorrect size is included. Learning new and ingenious ways to save money is so important today. But the core of saving still holds true. It is hard to waste money if you are staying out of the stores. Take advantage of this simple tip and crush your grocery stores savings every single month! I’ve started using this service all the time from Wal-Mart. It’s fabulous! I don’t even have to get out of the car. It’s a great service and I save tons of money. It takes about 15 minutes to make the order online and usually less than 5 minutes for them to load them into the car. I save way more than $100 in my time alone! I highly recommend it! I know, right?! I was amazed at how easy this was and I cannot even tell you how much money I am saving! If they are in your area, Woodmans has also started offering pickup, and they were another store I would get myself in trouble with. They haven’t got everything available on their website just yet, but I think they are working on it. And it is often a next day, or even the day after pick up.